The history of samba music dates back to the early 1920’s. With a sensuality touch yet energetic, Samba dance and music has acquired many fans worldwide over the years. 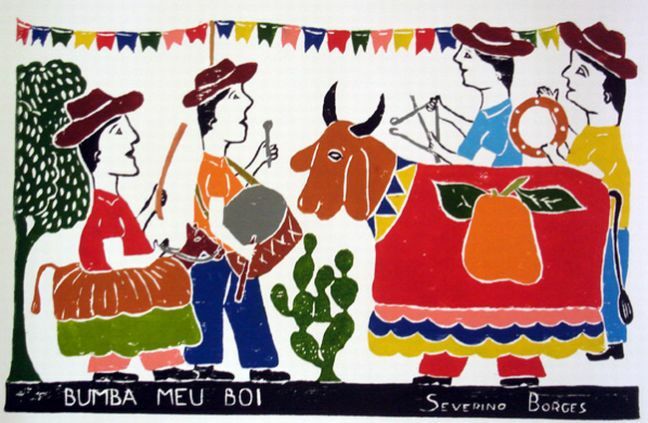 As the music culture has always been, samba music spread very fast after its emergence. The music was introduced in the United States in the second half of nineteen twenty when the energetic and superb beats caught everybody’s attention. The samba dance is watched by people from all corners of the world and many sway to this dance and music particularly in beautiful and colorful Brazil carnivals. Those who actually shake a leg in the Samba fashion acknowledge the dance’s beauty and pulsating music. All lovers of Samba should read on the history of Samba music to learn more about the origin of this pulsating dance. There are various point of view in the Samba Music History. Samba originated in Africa although there is a belief that it emerged from an African American couple dance. A considerable level of speculation exists regarding this style’s origin with experts claiming it evolved from a different style referred to as Choro. Dancing and singing accompanies any music in a characteristic Samba performance. Samba is a term derived from the ‘Semba’ Portuguese word but to the natives of Africa America, the term has many interpretations. While it meant praying for some, it was used in reference to a woman in Brazil. This word’s original documented reference is traceable to an 1838 newspaper where the word’s meaning was offered as being dance and rhythm. The recognition of Samba being a unique genre occurred in the twentieth century particularly in Rio de Janeiro contributing immensely to the history of samba music. During this period, slaves were introduced into Rio de Janeiro and by then, other people did not find native dances appropriate. Authorities embarked on controlling the widespread popularity of this style’s dance and music, but numerous modifications continued. From group dances, it evolved into partner dances and by the 1960s, most musicians adopted the dance and proceeded to popularize the typical music of Samba. By the seventies, samba music gained a powerful foothold over people’s minds via the radio, but by the early eighties, it faded with the advent of other popular Brazilian music particularly disco and rock music. In the history of Samba, when musical instruments including the tan tan and banjo were invented, the musical style of Samba was shortly revived before its fusion with various other styles of music such as reggae and rap. 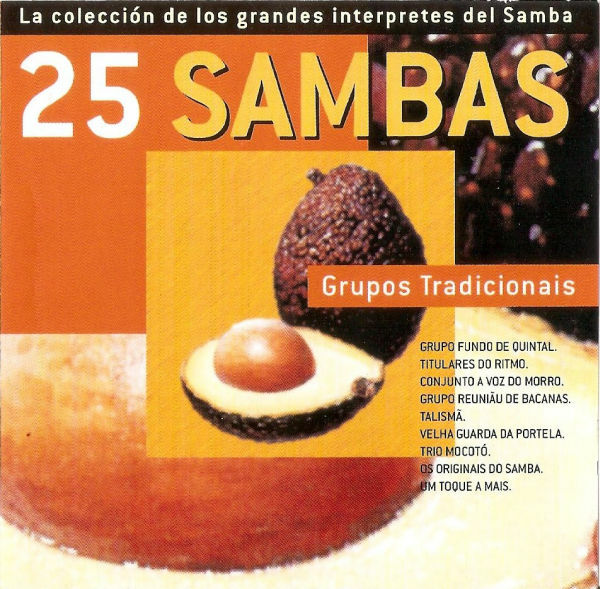 ‘Pagode’ is yet another musical style with an origin in Samba. There are numerous well-known musicians who left a mark in composing music of this kind in the past. This saw many different styles emerging and a good example of such a style is Bossa Nova which comprises of a heavy Samba influence. Despite Samba’s musical style being quite popular universally, it is not entirely acceptable in Brazil. A few personalities feel that the Samba style in regard to dancing and music is intended for society’s lower strata. The history of samba has undergone a revolution over years and it is still loved by many musicians and dancers. Mr. Tursun is a famous Uyghur folk music player. He is famous for his mastering the Uyghur music instrument "Tembur"
His music CDs has entertained thousand Uyghur households and enriched their lives. Mr. Tursun will honored by his great contribution to Modern folk music. Nur Muhämmät Tursun was born and raised in Ghulja in a musician family, one of eleven children, several others of whom have also become professional musicians. He was one of the Uyghur region’s most prominent instrumentalists until his untimely death in 2004. His father worked for the Military Ensemble and later for the Ghulja Theatre. Recognising his son’s talent he trained Nur on the satar, an unusual choice of instrument in Ghulja. According to Nur’s sister, Sanubar Tursun, their father once had an argument with a certain famous Ghulja musician who questioned their father’s musical skill. He was bitter, and once when drinking swore that his son would be a greater musician than he who had insulted him. When their father died in 1979 Nur felt an obligation to fulfil his wish. He practised tämbür sixteen hours a day, saying his father wanted him to be a famous tämbür player. Nur Muhämmät joined the Xinjiang song-and-dance troupe and did indeed come to be widely regarded as the finest tämbür player in the Uyghur region, with extraordinary virtuoso technique and a large repertoire of folk and classical pieces. He was also one of the very few musicians to play the satar seriously, and on this instrument he also excelled. He knew much of the Ili Muqam repertoire, and pioneered the solo instrumental performance of sections of the Muqam. He was also known for his innovative style of playing and his explorations of new repertoires. He released a series of cassettes, CDs and VCDs, including solo instrumental recordings and group recordings with his sister, the much-loved singer Sanubar Tursun. A late CD released in 2003, ‘Kün wä Tün’ (Day and Night), is a fine example of his fusion experiments. It juxtaposes tämbür and satar renditions of popular Spanish tunes and Hindi film tunes, and includes a radical reinterpretation of a piece at the heart of the classical Uyghur repertoire, ‘Äjäm’, with synthesiser accompaniment. Nur Muhämmät was also well known for introducing new playing techniques on the tämbür, notably an idiosyncratic strumming of all three courses of stopped strings simultaneously to produce tuned chords, a technique which he claimed to have borrowed from popular flamenco guitar. He was probably the first Uyghur musician to be interested in flamenco, and contributed to its widespread popularity in the Uyghur region in the 1990s. Some of his more traditional-style releases have also been very popular, notably Tämbürum (My tämbür). Nur was expelled from the Xinjiang song-and-dance troupe in 2002 following his involvement in a New Year concert where an audience member stood up and recited a poem referring to the coming of Spring. This was labelled a ‘separatist incident’. Following this Nur was also refused permission to travel abroad, and was thus unable to achieve his ambition of gaining recognition on the world stage. However he leaves behind a lasting legacy through his recordings and his pupils, and his innovative and virtuosic style is now widely imitated across the Uyghur region as well as by Uyghurs in Central Asia. Sanubar Tursun, her older brother Nur Muhemmet, and younger twin brothers Hesenjan and Husanjan, were born into a large family in the northern town of Ghulja (in Chinese: Yining) in the Ili valley. Sanubar and Nur Muhemmet released a series of VCDs (cheap digital video technology) in the 1990s featuring the Ili repertoire performed in new ways. The artistry of Sanubar’s vocals and the extraordinary virtuosity of Nur Muhemmet’s instrumental playing propelled them to instant recognition. 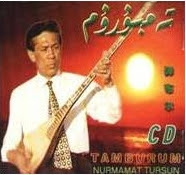 The term Tanbur, Tanbūr, Tanbura, Tambur, Tambura or Tanboor (Persian: تنبور‎) can refer to various long-necked, string instrument originating in the Southern or Central Asia (Mesopotamia and Persia/Iran). According to the New Grove Dictionary of Music and Musicians, "terminology presents a complicated situation. 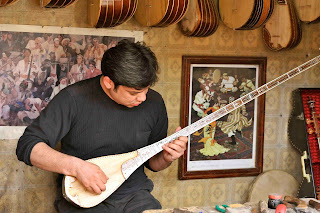 Nowadays the term tanbur (or tambur) is applied to a variety of distinct and related long-necked string instruments used in art and folk traditions in Afghanistan, Pakistan, Turkey, Tajikestan, Kazakhstan, Uzbekistan. The Uyghur tembor is played in West China (Uyghurs). Its neck is very long and has five friction pegs. It has five metal strings that are in fact three courses, both first (fingered) and 3th are double. 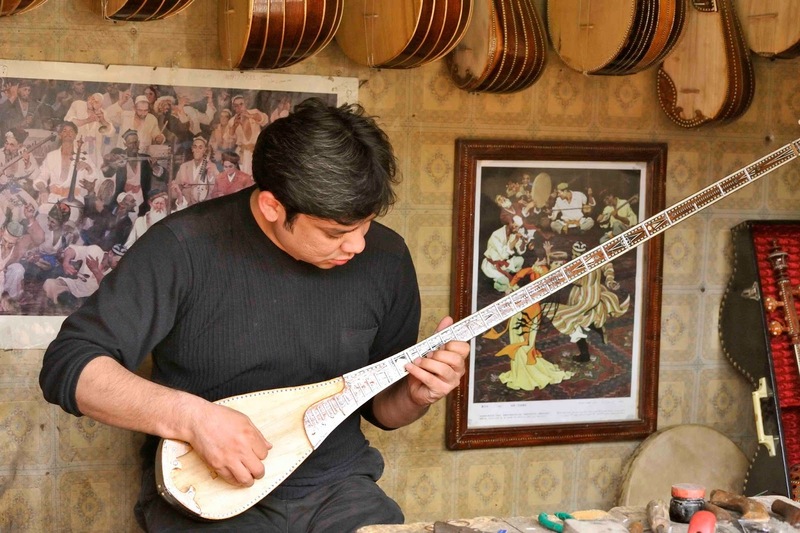 Lost in the muqam follows Mahmut Mehmet, a Uyghur musician living in China's Xinjiang province. The Uyghurs are a Muslim ethnic minority losing many traditions under Chinese rule, even music is beginning to suffer. Mahmut began playing the tambur when he was eleven years old and studied with the late virtuoso Nurmahemmet Tursun, but despite his immense talent he is now struggling to find an audience. He makes a living performing at dinner parties and teaching young students but can his music survive in the ever changing and hostile environment of modern China? Francis Hime, one of the maestros of MPB, got fifteen pianists to play thirty of the songs that have been central to the forty+ years of his career. A lot of those songs will be familiar especially to Brazilians. Two CDs with piano music. And one senses immediately how those categories - is it Jazz or is it classical? - just don't capture the nature of this Brazilian music storehouse. I'm a great fan of Hime's talents as a composer AND as arranger - you may enjoy his arrangements on dozens of MPB albums (Chico Buarque's, for example). However, though Hime's albums are all way above average, they tend to be uneven. Relatively negligible songs stand next to veritable gems you can find on any of his albums. Plus, though Francis is not a bad singer, singing is not exactly one of his major talents. So, here on Meus Caros Pianistas, the questions are elegantly solved. No singing, just the music. And since Francis is a pianist, the arrangements capture the essence of the songs. And then there's the fabulous playing of those pianists: Cristóvão Bastos, Wagner Tiso, Sonia Vieira, Miguel Proença, Maria Teresa Madeira, Linda Bustani, João Carlos Assis Brasil, Rosana Diniz, Clara Sverner, Gilda Oswaldo Cruz, Antonio Adolfo, Fernanda Chaves Canaud, Gilson Peranzzetta, Helvius Vilella. The result is something like the essence of Francis Hime. 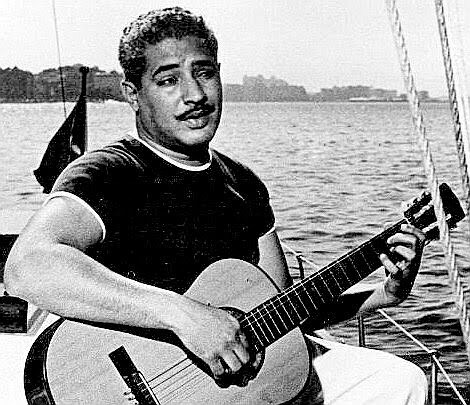 A tribute to the songwriting of popular samba composer Dorival Caymmi, whose attachment to and reverence for the sea was legendary. This album is conceived as a series of song-cycles: the sea in the morning, the sea by day, the sea at night. In some places the baroque arrangements are fairly unconventional; in others Hime displays a markedly formalist MPB approach -- very ornate, refined and sugary sweet. 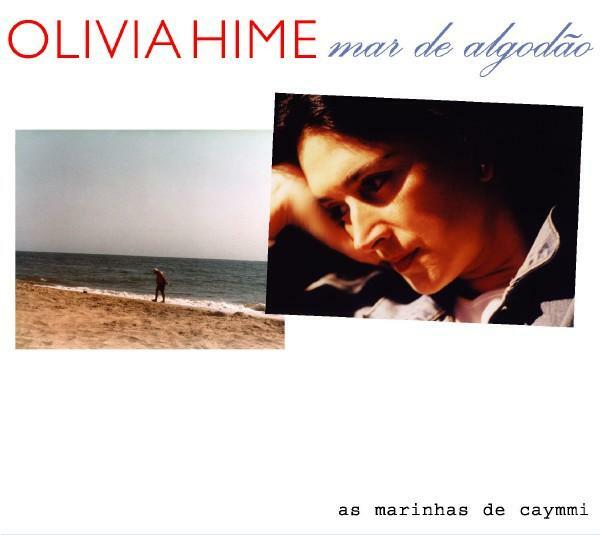 Her own, rather understated vocals are close in temprament to Caymmi's own plainspoken singing style. Rodolfo Stroeter produced and engineered the album; Olivia and Francis Hime wrote the arrangements, with Tutty Moreno, Sergio Santos and others performing throughout. (He was a good guide when I started listening to & buying Brazilian cd's. ô canoeiro puxa do mar. ô canoeiro puxa rede do mar. The idea of starting the record company Biscoito Fino began with the project, ComPasso Samba & Choro, developed by Olivia Hime, at the invitation of Kati Almeida Braga, in the Paço Imperial in Rio de Janeiro. Enthusiastic about that series of presentations, with musicians the caliber of Guinga, Cristina Buarque, Yamandu Costa, Miúcha, Francis Hime, Zezé Gonzaga and many others, Olivia and Kati decided to record the CDs of the shows. 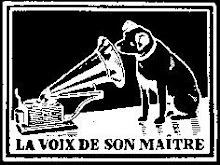 Their enthusiasm grew beyond just the CDs and the team aimed for an independent record company, proudly unconcerned about market tendencies. 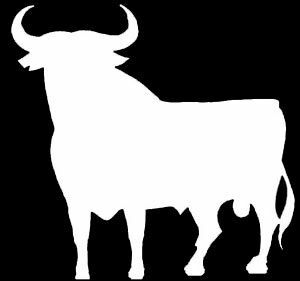 At first, Biscoito Fino edited songs by old and new composers, recorded and distributed CDs. Today, with its own studio and equipment available to musicians, Biscoito doesn´t want, to paraphrase Noel Rosa, smother anyone, but only to show that it also makes the best Brazilian popular music. Since the writer Oswald de Andrade coined the expression “biscoito fino (fine cookie),” it has become synonymous with something selected, of high quality. Responding to comments that he was not understood by the man of the street, Oswald quipped, “the masses will some day eat the fine cookie that I produce” - a prophecy remembered 60 years later by another poet and writer, Geraldinho Carneiro, who, upon discovering that Kati and Olivia intended to set up a record company made up of the highest level of Brazilian music, exclaimed: “But what you are going to do is make a biscoito fino.” The name was baptized. Almost five years after producing its first CD, Biscoito Fino has already released more than 150 titles. All, or almost all, of the music is popular, but there is nothing orthodox about it. One of the first releases is a collection of the work of the erudite composer, Cláudio Santoro. 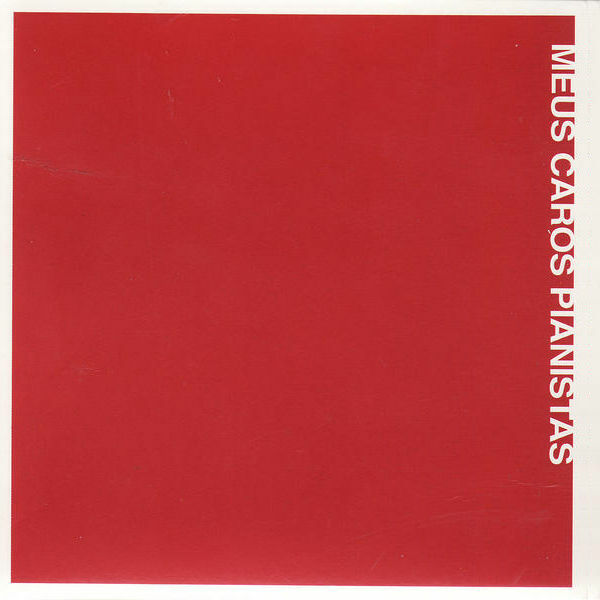 The flexibility of Biscoito Fino also opened the way for CDs of instrumental music, like Francis Hime´s Meus Caros Pianistas, Homenagem a Luiz Eça, by the french master Michel Legrand, and the first CD of the choro group Tira Poeira. Olivia Hime, musical director of the record company, considers one of her utmost functions, even more important than looking for talent, to be that of selecting musicians that have an affinity with Biscoito Fino. This is because, she admits, in Brazil talent blooms so easily that three record companies would be needed to record everything. When choosing between a musician with good selling potential but not really in tune with genuine brazilian music and another, less commercialized, but with more consistent work, she doesn´t think twice: the second one is the one for Biscoito Fino. Here are some examples: Luciana Souza, singer, composer and instrumentalist, living in the United States; Lucinha Lins singing Suely Costa, Olivia Byington re-recording Canções do Amor Demais, by Tom Jobim and Vinicius de Moraes, released by Elizeth Cardoso and also a salute by Olivia herself to Dorival Caymmi in her latest CD, Mar de Algodão. “The role of Biscoito Fino,” - says Olivia - “is to open space for the richness of brazilian music. If the whole world is consuming brazilian music and it is our prime natural resource, why not consume it here too?” And Biscoito has put things in gear by releasing compositions by Francis Hime, Sérgio Santos and Joyce, and recording with singers like Mônica Salmaso, Bibi Ferreira and Zé Renato . Not satisfied with just releasing and re-releasing quality CDs, Biscoito Fino has widened its compromise with the vast patrimony of brazilian music by recuperating unknown choro relics, in partnership with Acari Records, and promoting the project Centro Petrobras de Referência da Música Brasileira (Petrobras Center of Reference for brazilian Music). Working together with the Instituto Moreira Salles (Moreira Salles Institute) and sponsored by Petrobras, this project has put together the largest collection of phonograms from the mechanical era and the first electric recordings in Brazil. This collection is also open for people who are interested in the preservation of brazilian music. In 2002, Biscoito Fino contracted singer Maria Bethânia and in October of that year released Maricotinha ao Vivo, the CD that follows the 35-year career of one of the greatest interpreters of razilian popular music. Also by Maria Bethânia, Biscoito Fino still has in its catalogue the DVD, Maricotinha ao Vivo, the CD Cânticos Preces Súplicas à Senhora dos Jardins do Céu and her latest release: Que Falta Você me Faz - on which Bethânia pays a tribute to the poet, Vinicius de Moraes. In 2005, BF completes its fifth aniversary and will reach the outstanding number of 150 titles in its catalogue, among CDs, DVDs and collections, exclusive or in partnership with the labels connected to the recording company: Quelé (a partnership between BF and Acari Records), Jobim Biscoito Fino (on which in 2004 released the unedited CD, Antonio Carlos Jobim em Minas ao vivo Piano e Voz), Biscoitinho (a label dedicated to children’s music) and Quitanda (a partnership of Maria Bethânia with Kati Almeida Braga, responsible for releases such as Brasileirinho, also by Bethânia).